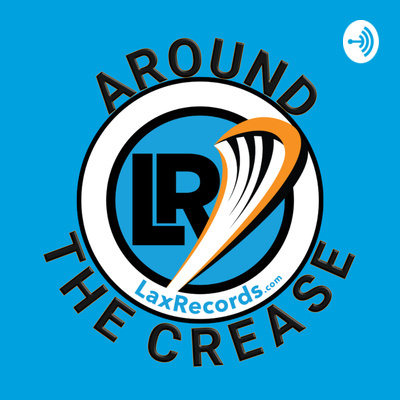 The Around the Crease podcast from LaxRecords.com covers all aspects of boys’ high school lacrosse. Whether you want to stay up-to-date on prep lacrosse during the season, hear Mike Loveday and Michael Ward’s hot takes on the latest topics in lacrosse or get recruiting information and tips. This is the podcast for you. LaxRecords.com is a site dedicated to digitizing the history of lacrosse through stats and performances. Get your fill of stats, history, ​and stories. Detroit Country Day (Mich.) head coach Chris Garland joins the podcast this week to talk about what parents and players should, and should not be doing, with recruiting. We also discuss some of the top teams in Michigan. On episode 59 of the Around the Crease podcast, Mike and Michael discuss whether the NCAA will change the lacrosse recruiting rule regarding the contact timeline and if the change would benefit the lacrosse recruiting process. Also this week, the duo go around the country to look at big games, players and results. Greg Gurenlian guests on this week's show to talk about the evolution of the face-off, the new Weapon X head by East Coast Dyes and who some of the up-and-comers are in high school. In the second half of the episode, Mike and Michael recap where Michael has been for the last week and they talk about results and players from the last week in high school lacrosse. Ty Xanders from Inside Lacrosse joins Mike and Michael on the podcast this week. Xanders discusses the process he takes in compiling lacrosse rankings, east coast bias and what it takes to be a ranked team. Coaches from Derryfield (N.H.), Middle Creek (N.C.) and Summit (N.J.) talk about leading their teams on extensive winning streaks and what it takes to keep high school athletes focused and motivated. 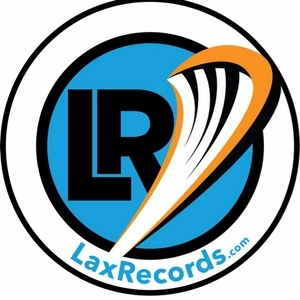 On Sunday, Feb. 10, LaxRecords went live with Jeff Baxter from HEADstrong and former Florida State lacrosse player Dawson Allen. We discussed HEADstrong's #GoLime campaign and how players can get started pledging their 2019 high school lacrosse season stats to help raise money for families affected by cancer. This week, Damian Hall of TriangleLax.com comes on to talk about the 2019 North Carolina high school season. Mike and Michael talk about watching college lacrosse games and what makes it challenging. This week Mike and Michael have three head coaches who are new to their respective programs this season: Zach Burke from Westlake (Texas), Pat Kennedy from Culver Academy (Ind.) and Jay Sothoron from Episcopal School of Dallas (Texas). The coaches talk about the challenges of joining a new program and what it’s like learning new players, parents and fans. In episode 50, Archbishop Moeller (Ohio) head coach Sean McGinnis talks about what their upcoming game against St. Xavier getting moved to the University of Cincinnati means to Ohio lacrosse. Also, TXLaxNews.com Director Ryan Cassidy joins us to talk about the teams to watch in Texas for 2019. Mike & Michael talk with FloridaLacrosseNews.com’s Lee Roggenburg about Florida lacrosse and Blythewood (S.C.) head coach Jason Cuzzupe about the state of South Carolina lax. This week, Mike and Michael welcome Tanner Demling from Lacrossebucket.com to talk about the upcoming 2019 lacrosse season in Kentucky, Tennessee and the Midwest. They cover some of the teams and players that will make the season special. Mike & Mike talk with Louisville men's lacrosse coach Ryan McCauley about the program and then they talk about recruiting options for student athletes. Today, Mike & Mike talk about expectations for the upcoming season and what they are most looking forward to seeing. Today, Mike Loveday and Michael Ward discuss lacrosse getting preliminary approval to join the Olympics, what they think of changing the game to get it approved and they also share their favorite Olympic memories. In today’s show Mike Loveday and Michael Ward discuss professional lacrosse and what they think it will take for the Paul Rabil led Premier Lacrosse League to succeed. 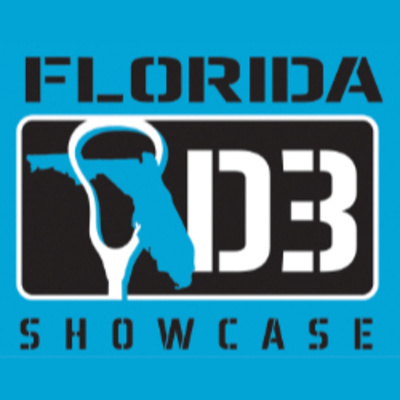 Today I talk with Kyle Donovan, an assistant coach at Cardinal Mooney (Fla.) and one of the founders of the Florida D3 Showcase. At the showcase,​ players will receive coaching from Division III coaches who will run each of the position stations, team practices and games. The showcase is open to players in the Classes of 2019, 2020, 2021 and 2022 and each of the showcases will be played on one field, allowing college coaches to see everyone. LaxRecords.com teams up with ProspectCNNCT and Arizona mens lacrosse coach Matt Blamey to provide athletes with more options to get noticed by college coaches. Mike and Tom are back together this week discussing their favorite things from the Under Armour All-America weekend, recapping the Apex Lacrosse event in New Jersey and taking a look ahead at where Tom will be in July. Tom talks with Apex Lacrosse Director Shane Doss and Mike and Tom try not to yammer on about bad parent behavior ... they really did try. This week Mike goes solo as Tom Peace takes a deserved vacation with the family. Mike recaps what's coming up on LaxRecords.com and sits down with US Lacrosse Mid-Atlantic Player of the Year Jeffrey Conner to talk lacrosse. There is no side-stepping in today's episode as Tom and Mike discuss the TD Ierlan transfer and the reaction he received. Also on deck for today is the topic of parents' behavior at events. This week Mike and Tom discuss a hot-button issue after West Genesee's Mike Messere said his players quit "a long time ago". Also in this week's episode, Tom talks about attending the Baltimore Summer Kickoff and the Mason Dixon Showcase. In Season 2, Episode 1 of the Around the Crease podcast, Tom Peace of the Peace Report Lax Blog joins Mike Loveday as co-host. The duo discusses storylines from the end of the 2018 season and what impact the end of early recruiting has on players and parents. Friday, March 23 was a big night across the nation in boys’ lacrosse, especially on the East Coast. Owen Caputo hit 400 career points in North Carolina. Jef Hewlings reached 300 career wins in Pennsylvania and Eric Malever set the season mark for most points in a game in Georgia. All this and more in today’s Stylax Stat Leaders update. Of the four player updates in today's Stylax Stat Leaders, three still have at least one left in their high school careers. Players from Kennesaw Mountain (Ga.), Western (Fla.), and Rancho Cotate (Calif.) are featured in today's update. Another coaching milestone highlights today's Stylax Stat Leaders as longtime McCallie School head coach Troy Kemp notches a career milestone. Also today, players from Summit Country Day (Ohio), Male (Ky.), Boone (Fla.) earn updates. Sophomore Michigan commit, Ben Hull from Kennesaw Mountain (Ga.), tied for the season lead for the most points in a single game last week. Overall, there are 11 players included in today's roundup, including several Player of the Year candidates. Two faceoff men earn spots among the season leaders after winning more than 70 percent of their opportunities on Thursday. Also today, another four-overtime​ game and a Missouri senior starts his season off strong. Mikey Berkman became the 76th player in boys' lacrosse history to reach 400 career points, but before he entered his freshman year the legendary Casey Powell issued a challenge - break his record. Today's update is highlighted by Moises Ramirez from Immokalee (Fla.) and Guy Bistrow from Providence School (Fla.). The Florida players led all known and reported scores fro March 7, 2018. Nicky Solomon, the brother of Syracuse sophomore, Nathan 'King' Solomon, talks about reaching 500 career points, what it means for Georgia and if his teammates think​ he's better than Nate. Bligh totaled 13 points on seven goals and six assists in two victories last week. The Brown commit scored eight points on five goals and three assists as St. Ignatius Prep defeated Sacred Heart Cathedral (Calif.) 16–1 in their season opener on Feb. 26. Today's Best Known Performers features players from California, Florida, ​and Georgia. Leading the way from Saturday's scorers is Kaiser Fry from Loyola-Los Angeles (Calif.) who totaled 10 points. Centennial (Ga.) senior Nicky Solomon passed Mikey Powell to become just the 18th player in boys' high school lacrosse history to reach 500 career points. Also in today's update, a team from Nevada and players from California, Florida, Georgia, North Carolina and Tennessee earn spots on the Best Known Performances. Program note: This episode originally appeared using another platform and was Episode 32. Today, I talk with High Point head lacrosse coach Jon Torpey. We go over quite a bit in today's podcast. Among today's topics are: How do I get on a coach's radar? How, when, the best way to contact a college coach? How do the new NCAA rules impact me? What can I do to stand out from everyone else? What events should I attend? How many events should I attend? What do coaches look for out of players at an event? What factors go into recruiting a class for your program? Today, I talk with High Point head lacrosse coach Jon Torpey. We go over quite a bit in today's podcast. Among today's topics are: How do I get on a coach's radar? How, when, best way to contact a college coach? How do the new NCAA rules impact me? What can I do to stand out from everyone else? What events should I attend? How many events should I attend? What do coaches look for out of players at an event? What factors go into recruiting a class for your program? Justin Shockey considered giving up lacrosse at one point. But with the support of teammates and mentors, he stayed with it to become the premier face-off man in the nation and earns LaxRecords.com’s first-ever Player of the Year. The future Navy face-off man put together one of the more impressive seasons in Landon (Bethesda, Md.) history. Shockey won 79.3 percent of his face-offs this season and chipped in 197 ground balls, leading the team in both categories. He scored 24 points on 14 goals and 10 assists and helped Landon go undefeated and win the regular and postseason IAC championships. You can read more about Shockey's stellar season in the Player of the Year announcement. Today's podcast focuses on El Segundo (Calif.) athlete, Cory Lund who finished his high school lacrosse career as California's all-time assist leader. The Williams College signee finished with 192 career assists and 370 total points. Lund averaged 7.87 points per game, with the bulk of his points coming in his final three years. Lund and I talk about his freshman injury, how that helped him during his sophomore season, his recruiting process and why he chose lacrosse. You can check out the all-time California leaders' list in addition to the 2017 Stylax Stat Leaders to see where Lundy falls in the state and the nation. Calvert Hall (Baltimore) took home the MIAA A Conference championship in a 12-6 win over McDonogh (Owings Mills, Md.) on May 25. Head Coach Bryan Kelly spoke with me about that championship game, the season and how it came together during the year, what their best game of the year was and a quick look at some of the returning players for 2018. Links Week 13 Consensus Rankings What do you want to hear? Today's podcast is all about rankings. Specifically, ranking philosophy and its application during the high school season. My guest today is Sheldon Shealer, national editor at TopDrawerSoccer.com. Yes, I talk with a soccer guy about lacrosse rankings. Shealer was my professor at Mount St. Mary's and has been my mentor for more than 12 years now. He is the one who taught me how to do rankings and has been my go-to when I have a question about placing a team. For that reason, I brought him on to talk about how national rankings are compiled, how he looks at a team's schedule to determine where they fit in the national scope and how picking that No. 1 team can be a challenge at times. You can find Shealer on Twitter @TDS_HS_Soccer and at TopDrawerSoccer.com. Today I’m talking to West Genesee (Camillus, N.Y.) head coach Mike Messere. This was special for me because Messere has the most wins of any high school lacrosse coach, boys or girls, in history. He starts this year with 811 career wins and is the only coach in history to surpass 800. He has the most state championships of any coach in history with 15 and if that’s not enough, Messere also led the Wildcats to a 91-game win streak that stared in 1981 and ended in 1984. That streak is tied for most all-time and is sure to stand for a lot longer. To put it into a little perspective, the closest any team has come to that since 1984 was when Bedford out of New Hampshire won 72 straight from 2012 to 2015. Currently, Victor out of New York currently has the longest active streak at 44 games, so if they repeat what they’ve done that last two seasons, it will still take them another two seasons, plus three games just to tie the records. Quite the impressive feat. Today we’re digging deep into the Maryland lacrosse scene with Derek Toney of Varsity Sports Network. For the sake of time, we focused in on the Maryland Interscholastic Athletic Association, better known as the MIAA. The A conference gets a lot of attention, but we do touch on the B conference and some of the area public school programs. If you want the definitive teams and players to watch in Baltimore, this is your podcast. Plus, you can tell Derek and I how wrong we are when you get to the section where we make our picks for the MIAA A Conference champion. Be sure to follow VSN @VSN_Publisher on Twitter and on varsitysportsnetwork.com. As usual, all links are in the show notes and on LaxRecords.com/podcast. Today we’re doing a preview of the Bring King of Spring Face Off Classic held in Raleigh, Durham, Chapel Hill North Carolina and starts Thursday, March 9. For me, and even though the season is already well underway in Florida and some other states, the Brine King of Spring Face-off Classic has always been the unofficial signal that lacrosse season is here. There are 34 teams from 10 different states and Canada at this year’s event, which marks it’s 8th time. I’ve personally been to this even a number of years and it’s always a lot of fun. Jon Lantzy, who is the head coach at Durham Academy, and started the event sits down with me to talk a little about it’s history, the fundraising portion of the event, how it’s grown and how he does the matchups. For more information on the event, you can check out www.kingofspringlax.com or LaxRecords.com/podcast. Today I’m talking to Rob Bordley the head coach at Landon School in Bethesda, Md.. Bordley is 5th all-time with 622 career wins and I’ll be honest, if you’re not excited about lacrosse after listening to this podcast, it might be time to look for a different sport. Bordley is almost 70 years old, but I think you’ll agree he sounds like someone 1/2 that age in this conversation. His excitement for the sport is contagious. Because he has such an impressive resume, we talk about more than just how the team will fare this season (they’re probably going to be pretty good), but we dive deeper into what has helped him be so successful. What tidbit of information does have to pass along? What’s the best piece of advice he’s ever received? We talk about the rivalry with Georgetown Prep and so much more. In this week's podcast, Jim Loftus from MaxLax Inc. and I are doing a rundown of teams and players to watch in our 2017 California Boys' Lacrosse Preview. Loftus is an editor at MaxLax Inc., which encompasses MaxLaxOC.com, MaxLaxLa.com, MaxLaxSD.com and MaxLaxCO.com. Can Torrey Pines win it all this season with a team that’s loaded or will Poway come away with another section title? Can the Los Angeles teams continue their winning ways or will it be one and done? Jim and I discuss it all. And do yourself a favor, be sure to follow MaxLax at MaxLaxInc on Twitter. If you have more specific tastes, you can follow MaxLaxLA, MaxLaxSD and MaxLaxCO on Twitter for those specific sites. Today I’m talking to the newest member of the 400-point club, Henry Hunt of Old Lyme high school in Connecticut. Hunt finished his senior year by breaking the Connecticut state record for most career points, putting up 489. He passed former New Fairfield attack man Andrew Fiamengo. Hunt set the state record with a 156 point season in 2015, then proceeded to break his own record with 157 as a senior. He is continuing his lacrosse career at Hamilton College. Hunt spoke with me in September and we talked about what the difference was between his 50 point freshman year and his breakout 126 point sophomore season. He also was kind enough to pass along some advice for some up-and-coming lacrosse players. Today we’re talking with Paul VI head coach Bob Waters. Coach Waters took over the Paul VI program in 2012 and his first season on the sideline was 2013 when he lead his team to a 20-win season. In four seasons, he’s led them to a 61-27 record while competing in one of the toughest regions in the nation, the Washington DC/Northern Virginia/Maryland area. The podcast is longer than previous versions because Coach Waters and I just sat and had a conversation about lacrosse. You’ll get information on what type of player he looks for, what physical and mental attributes specifically. You’ll also get some insight on how he went from a JV Head Coach and Varsity Assistant at a public school in Virginia to the head coach of a private school that plays in the Washington Catholic Athletic Conference and how he used his business acumen to be a consistent winning program. NCAA Division I men's Lacrosse teams have an average roster size of 45 players but only a maximum of 12.6 scholarships to award per team. This means the average award covers less than 30% of a typical athlete's annual college costs. Lacrosse is an equivalency sport for NCAA limits, so partial scholarships can be awarded as long as the combined equivalent awards do not exceed the limit. For example, an NCAA Division I school can award 24 women lacrosse players each a 1/2 scholarship and still meet the limit of 12 per team. For more information see our page on scholarship limits. Learn more from ScholarshipStats.com. Today's podcast is a rebroadcast of a Google Hangout I did with Casey O'Neil (Gonzaga), Tom Peace (TopLaxRecruits.com), Lee Southern (NJ Riot) and Jono Zissi (Torrey Pines) in 2013. Over the course of the podcast, we discuss how club lacrosse has helped players get noticed earlier and how that role has grown. I have the original YouTube video hosted on my personal page. The very first LaxRecords.com podcast, hosted by founder Mike Loveday. This episode goes over what you can expect out of this podcast series. LaxRecords.com focuses on boys' high school lacrosse, specifically stats, history and education.